Retail is one of the most competitive areas in the world. It motivates companies and private entrepreneurs to search for new solutions and approaches. Mobile and eCommerce technologies changed the market and allowed to connect the store with a customer at any time and anywhere. Looking ahead we see technologies that will have a huge impact and will bring a new wave of opportunities for traders within the virtual space. Virtual reality is a technology that at the moment can not be separated from the distributive trade worldwide. In an era of rapid technological progress retail changes in unprecedented pace. Analysts are trying to identify the most important factors that affect the form and manner of functioning of the industry. 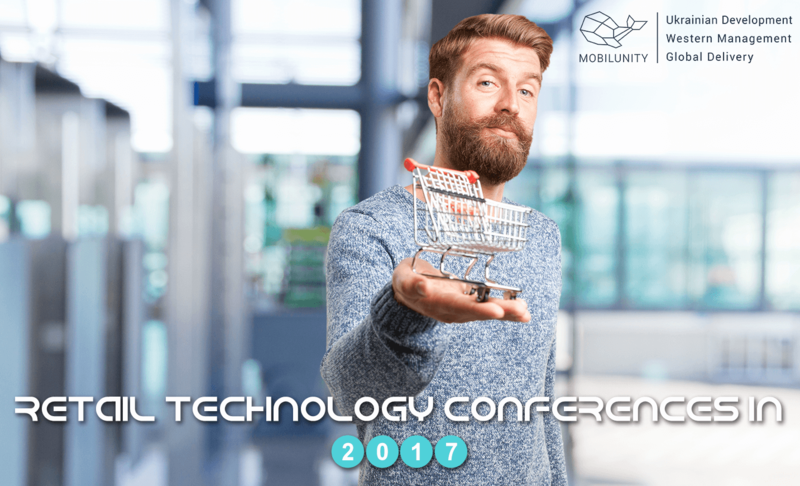 In order to keep your business in the competitive state and be aware of modern trends in global trade, you can visit a retail technology conference 2017. This will help not only to acquire new knowledge, but also to get acquainted with useful people, find business partners, and even direct customers. We would like to share information about retail conferences 2017 which will be held in Europe, America, and other countries. NRF PROTECT: National Retail Federation Loss Prevention Conference & Expo in Washington D.C. It is necessary to point that visiting retail conference or retail events 2017 can improve your business in the way you didn’t expect. If you are a startup’ initiator, this is directly about you, because it is very high probability that you are searching for human resources for your project. Mobilunity can help you to fulfill this task and provide you with a team of dedicated developers who are ready to realize all your ideas. Don’t hesitate to learn more about hiring dedicated developers getting in touch with our Account Manager.